1: HD 1080P 2MP: 1080P(1920 1080), 2.0 MP, H.264. 5: Pan/Tilt: Pan 0-355°,Tilt 0-90°. Rotation angle:Pan 0-355°,Tilt 0-90°. 2: Outdoor: IP66 Waterproof and Outdoor. With 2 million pixel HD lens, the imaging is more stable and clearer. 1pc x doorstop alarm(not included the battery). Extra loud alarm - sounds a loud 120 dB siren when protected door is opened. Acts as a door wedge to stop an intruder from entering. Wedge shaped door stop design prevents further entry the harder they push. Lens Focus:3.6mm. Lens size:1/4". LDC:7" TFT LCD Screen. Battery Type:lithium battery. Battery capacity:1020mah. 1 x Antenna. Size:as the below picture show. Transmission power:23dBm. Free Ship* Detect Visitors Vehicles Intruders Kids etc. IP150 Internet Module Supports SWAN Server v4.30. Use NEware or Babyware to access your system through the Internet. View live status of all zones and partitions (e.g., open/close, arm/disarm, troubles and alarms) via web browser. Suitable For Everyone: Ideal self defense keychain for college and student security, police and correctional officers, walkers, joggers, elderly, students, lone workers. Battery: 3 x LR44 Batteries (Included). (eg: Singapore, Taiwan, Australia, the United States, Canada and so on). Siren output: <500mA. 2 X RFID Card. GSM Frequency: 850/900/1800/1900MHZ. 1 X Wired Siren. Wireless Frequency: 433MHZ EV1527. Delay function. How it works: In this study, the transistor as a switch. 1: No alarm. When a laser is irradiated onto the photosensitive resistor, transistor ended, active buzzer power off, stop chirping; light off. 2: Alarm. When the laser is blocked, no light exposure to the photosensitive resistor, the transistor is turned on, the buzzer to get the power starts singing while working indicator lights, sound and light alarm. There are red/blue lines, red/black lines, red/yellow lines, random delivery (red positive black negative, or red positive blue negative, red positive yellow negative). Anspo has been always held the principle that the integrity and quality are thepriority. 1 x 4-Channel 1080N AHD DVR. Durable Professional IP66 Waterproof, providing stable performance both indoor and outdoor. WiFi connection, support Android and IOS smart phones. All functions can be set through the APP for your convenience. Motion detection to inform abnormal situation. - Wide application. We will solve your problem as soon as possible. 1x Mini Wired Strobe Siren. Siren sound: 115DB/1M. Rated Current: 300mA. Due to the difference between different monitors, the picture may not reflect the actual color of the item. SMS prompt when AC power lost and recover. issue 110 dB alarm sound lively to inform the security or neighbors, send alarm phone call. -8 Wired defense zones and 99 wireless defense zones;. Not support language switching,and just available for English user manual book. (Wifi mode). Support wireless(Wifi) and Wired two Mode. IR LED: 7 PCS Array IR LED. Pan 355 degree/ Tilt 90 degree. Features: 1. Network Interface: RJ45 10/100MB Ethernet interface. (wired Mode). SD Card Slot: up to 128GB supports. GSM-350 / GSM-350_v2 Phyton is a cellular communication module that connects PowerMax and PowerMaster intrusion alarm system to the alarm central station. The module can report via GPRS data channel and/or through the GSM network. 1 x DIGOO 433MHz New Door & Winder Sensor. 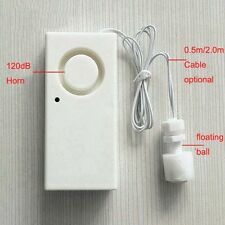 Type 433MHz New Door Window Alarm Sensor. Emission Frequency 433MHz. ( such as door, window, drawer, wardrobe, bath etc). Emission Distance >=120 m (Open area). There are two types of reed switches: "normally open" reed switches and "normally closed" reed switches. A normally-closed reed switch is closed when it is not near a magnet; as a magnet is brought close to it, a normally-closed switch will open. Original Xiaomi smart door and windows sensor for daily security. Notes: This item must match the xiaomi multifunctional gateway to use. 1 x Xiaomi Smart Door Sensor Set. Push the Door: The light automatically turn on. With a manual-modulated radio AV receiver. 1 Antenna. Can be connected with varieties of monitors and TV with video & audio output jack to watch videos & images. With 2 power adapters, and an antenna.